Studded shoes have been in for some time and they ain't going anywhere so it's the perfect time to take your old tennis shoes and give them a new look for 2015! Valentino sells fancy pants studded shoes for around $1,200.00! Well these babies were only $12 so that means I'm winning. I promise, if you make these you will be a stud. 1. Smooth out your area where you want to put your studs. 2. Simply press the prongs of the studs through the canvas and bend the prongs back on the backside with your hands or use a ruler. This will save your fingertips later on. 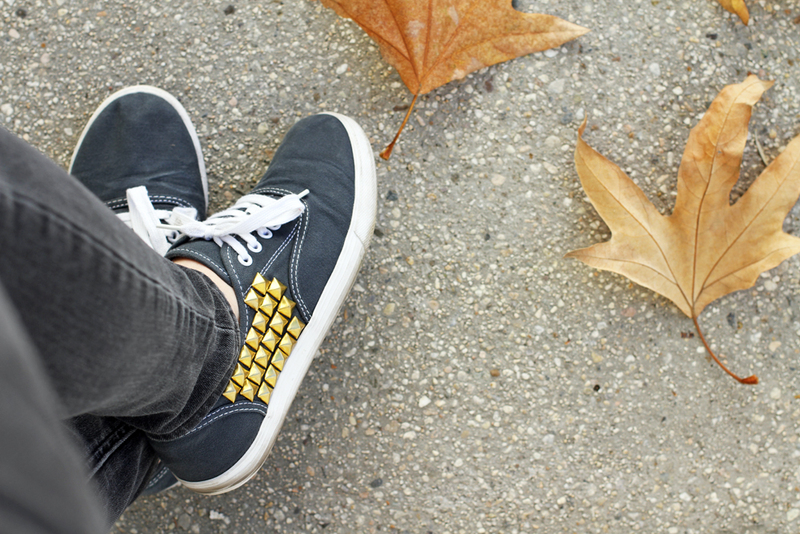 TIP: You can add these studs to denim shorts, jeans, canvas bags etc.